This post is an advertisement, sponsored by revolutionmath.com. Revolution Math is my secret weapon to getting my kid to love math. Here’s why we love it so much. I don’t know about you guys, but the thought of helping my kids with their math homework is enough to give me nightmares. Common Core, am I right? Who knew math could change so much since we were kids. 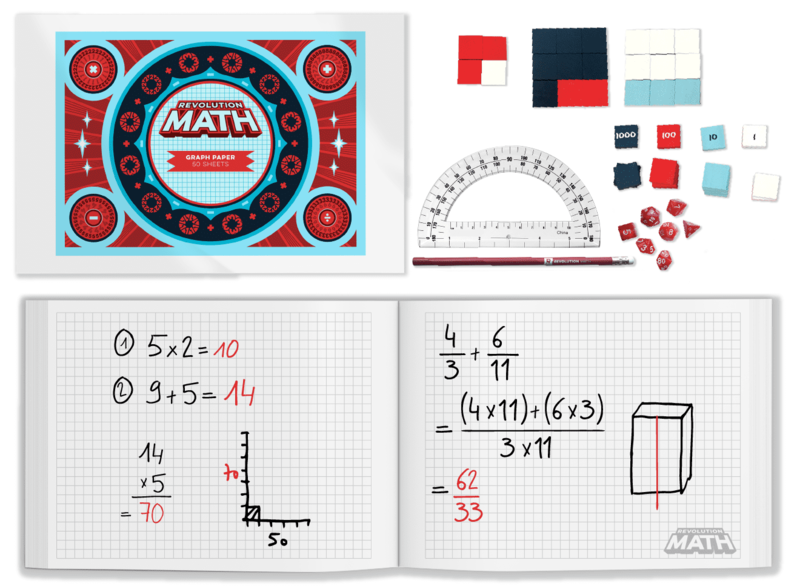 Use promo code THATS1, at revolutionmath.com, you will get 4 weeks for free and get a math kit for $1! You can’t beat that! We need to know where we excel and we need to acknowledge our limits. 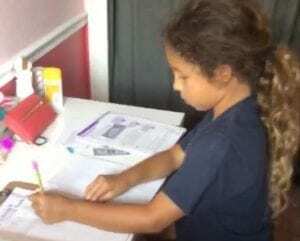 That’s why when Sophia started struggling with math this year in fourth grade, I knew I was not going to be the one to help her and that we needed to find a new way to help her succeed. We began looking into math tutoring for her, but we quickly realized that traditional tutoring was not going to work for our family. Due to our schedule, there was no way that we were going to be able to go somewhere during regular business hours. Real-time tutoring from the comfort of your own home. Using a story-based curriculum, the engaging and energetic tutors make the learning process incredibly fun for Revolution Math students. Lessons can be done from the student’s own tablet or computer, and they have the opportunity to interact and collaborate with other students from around the country. Sophia loves that there are other people to work with and enjoys the characters and games that go along with the lessons. As a bonus, students earn points for their work as they progress which they can later redeem for real-life prizes, like skateboards, guitars and Legos. One of the best parts of the Revolution Math program is its convenience and flexibility. Sessions can be scheduled around your own schedule, which for us has been incredibly helpful since Sophia has gymnastics four nights a week. I think most families can agree that finding something that easily works around the craziness of after-school schedules is rare. The best part? – Revolution Math can adjust sessions each week if something comes up, which is great because life happens. 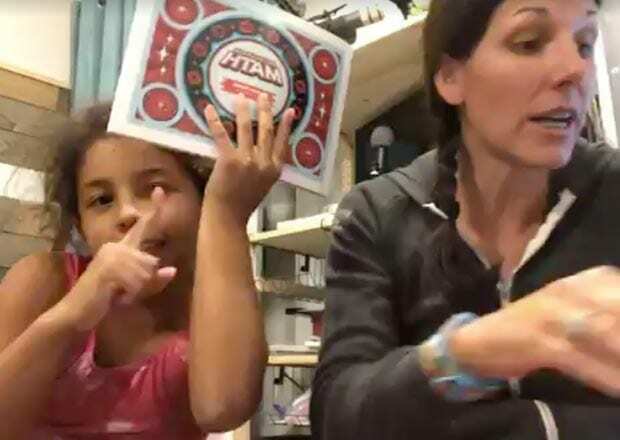 Since starting this program a little over a month ago, we have noticed a huge change in Sophia’s attitude towards math. She has more confidence in her ability and looks forward to her lessons. Our experience with the program has truly been stellar. Revolution Math is definitely “Sophia-approved”, which says a lot. If your child is struggling with math, follow us to RevolutionMath.com. And now is a great time to try it out because they are currently offering a special promotion for That’s Inappropriate fans. If you use promo code THATS1 you will get 4 weeks for free and get a math kit for $1! You can’t beat that! 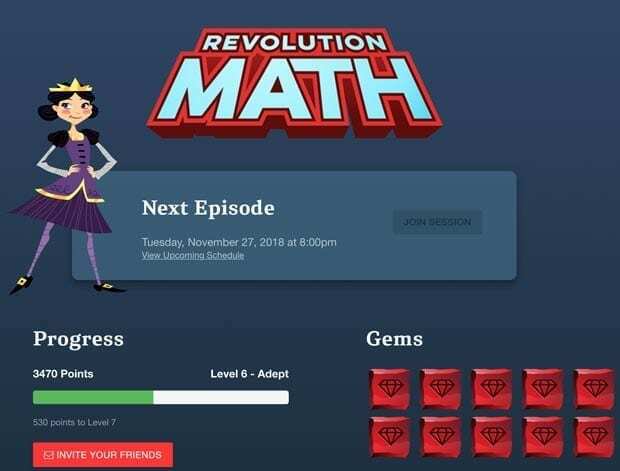 Check out Revolution Math today, because math is way more fun with friends (and amazing tutors). I hope that you love it as much as we do.